Absorb pump drips to keep drum tops clean and floors safe. 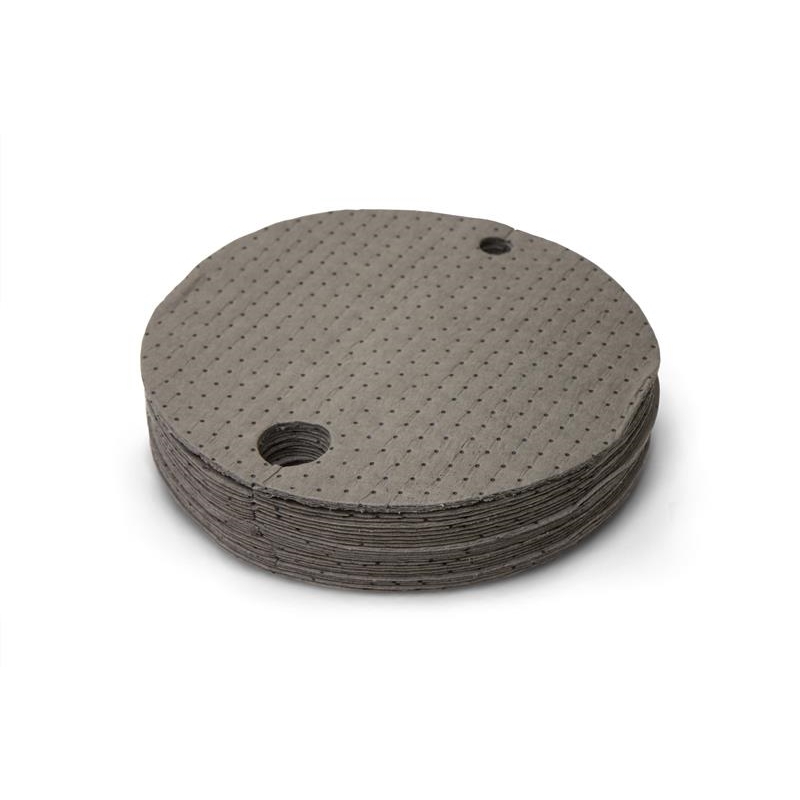 DTU 25 - universal absorbent drum toppers prevent puddles and dirty rags from accumulating on top of your 200 liter drums. Precut with hole for pump to provide a perfect fit on 200 liter drum tops. Soak up pump drips without cluttering up your work space with dirty rags. 100% polypropylene covered with a fine fiber layer on both sides for superior absorbency. Dimple pattern speeds wicking of liquid for faster, easier cleanup. Highly absorbent, dimpled pad won't leave behind liquids or fiber residue. Absorbs and retains oils, coolants, solvents, water and many types of other chemicals.